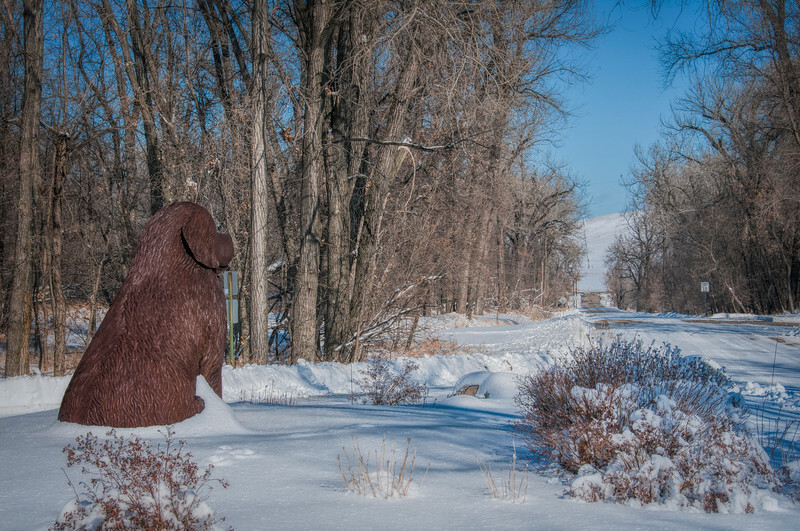 Seaman, the canine companion of the Corps of Discovery waits at the historic Fort Mandan site. Own this image! Just click the buy button.